Athletes in the modern marketplace are faced with many options and many great trainers and coaches in the constantly connected world we live in. While training isn't the only thing you look for in a good coach, it's something we take very seriously and aim to stay at the crossroads of application, experience, and the best of exercise science. Intelligent training is the cornerstone of a successful plan for any athletic pursuit. At The Strength Athlete, we truly know and understand the value of this to its core. This is why we always start our coaching process with an in-depth video conference call to gather relevant data about any athlete; whether he or she is headed for weekly coaching or our custom training. Our path is always to generate a plan that suits the goals of our clientele by simultaneously meeting the needs of their competition calendar, their long term athletic plans, their experience level and, most importantly, their daily lives. The best training plan--the one the athlete will progress with and through--is the one that fits the athlete's equipment and life schedule. Creating a training plan that's six days per week when the athlete works a full time manual labor job only sets both of us up for failure. Outside of scheduling, we rely on good data from athletes about how their training plan is progressing. How sore is the upper and lower body? What are you working on with lifting technique, and are things appropriately difficult? We refine this process over time making sure the right weight is on the barbell and monitoring recovery variables through tracked information, and also our conversations. Our training approaches are rooted in evidence based practices that have been verified time and time again with our real world results. We use a combination of methods including autoregulation and fixed load work. We do ask a lot but it is not without reason. We are constantly monitoring variables such as recovery, fatigue, and desire to train; with these values in our minds we are able to build our periodization around more than just numbers and keep injury prevention as a top priority. No two training protocols are exactly alike because no two of our athletes are exactly alike. We welcome and are equipped for athletes of all levels from rank novice to world class. If you've never trained for strength before or are looking to pursue a new sport, we can create plans you can confidently take into the gym and realize progress, feel good about your lifting technique, and lift both safely and effectively. To a new athlete, the training plan is an anchor to throttle an often times breakneck rate of progress, making sure that technique and overall health follow at the appropriate rate. 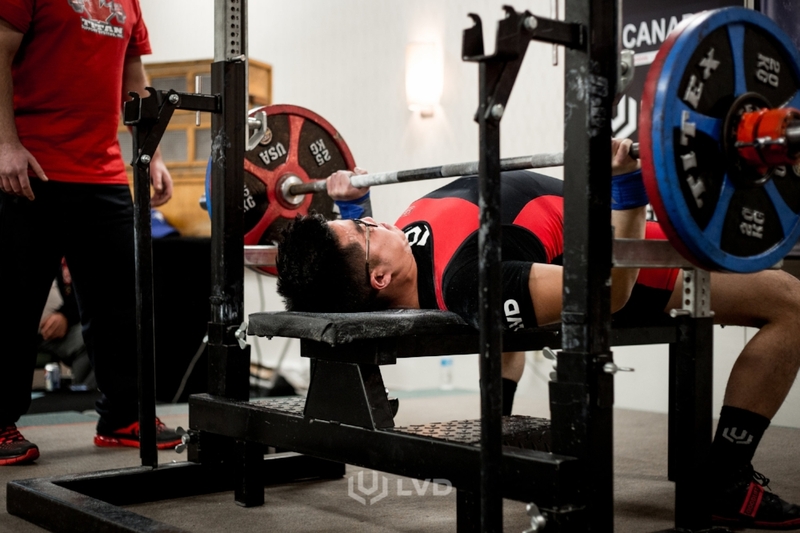 If you're just beginning powerlifting, we can make training more specific to your needs, beginning in earnest to work on refined technique, on the nuances of attempt selection, maintaining technique under heavier loads and getting better and better at performing single repetitions. At the same time, we can introduce sport psychology concepts through lessons and educational conversations to assure you're developing physically and mentally. We don't neglect the whole body from a muscle-building perspective either. Lifting as a beginning to intermediate athlete requires that we build the whole body to set you up well for long-term success. At all levels, injury prevention is tantamount to progress. At the advanced and elite levels, this is even more true as athletes are pushing their boundaries and requiring greater and greater amounts of volume to make progress. We stay with you, adjusting training, trying new tactics to seek out more growth and strength gains, manage yearly plans to keep you on track, and introduce greater complexity to search for the things you need to keep moving forward.